I’m really excited to share my next alternative project with you! From the comments and the “pins” you really liked the Gold Leaf card, I do to but this card is full of color and gold and I think it’s my favorite so far!! Stunning… right! 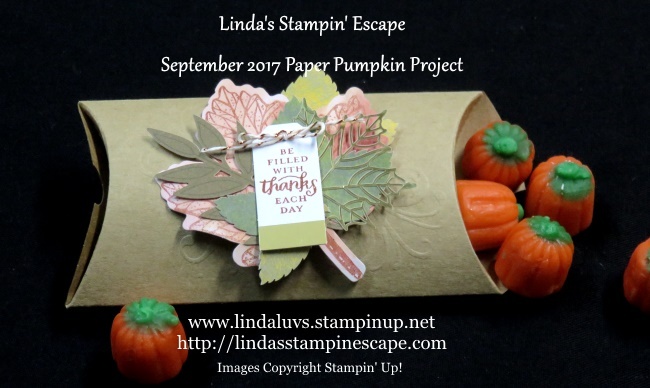 I just love all the layers of leaves … and they are all included in the kit! 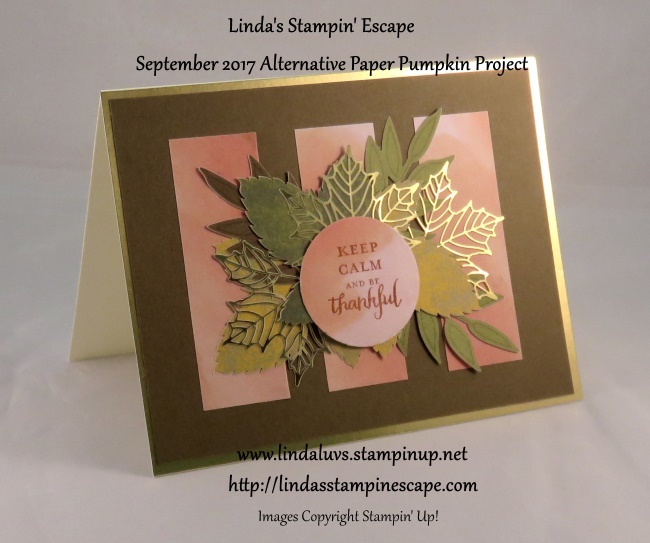 I pulled apart one of the envelopes and cut it into 3″ x 1″ strips, then I stamped the greeting on a left-over piece and punched it out with a 1-1/2″ circle punch … then layer. Viola!! 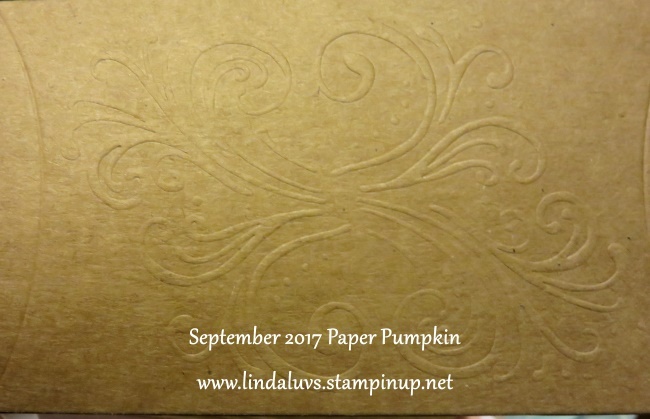 Incredible dimension is created by simply layer the leaves … no dimensionals were needed. 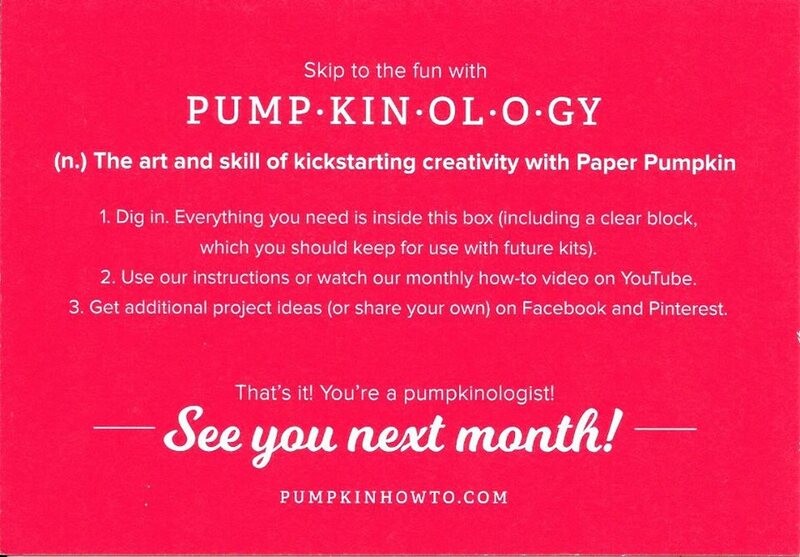 Many of you have asked how you can get this kit … Well, you need to be a Paper Pumpkin subscriber. If you sign up before the 10th of October, you will be able to purchase many of the past kits (hopefully including this one) Plus there are refills that you can also purchase!! HOW COOL IS THAT!! Two coordinating kits! However, they work fine as stand alone kits. Give it a test drive and join us for the fun!! Thanks for hangin’ out with me today! I hope you are having a wonderful week… the weekend is almost here! 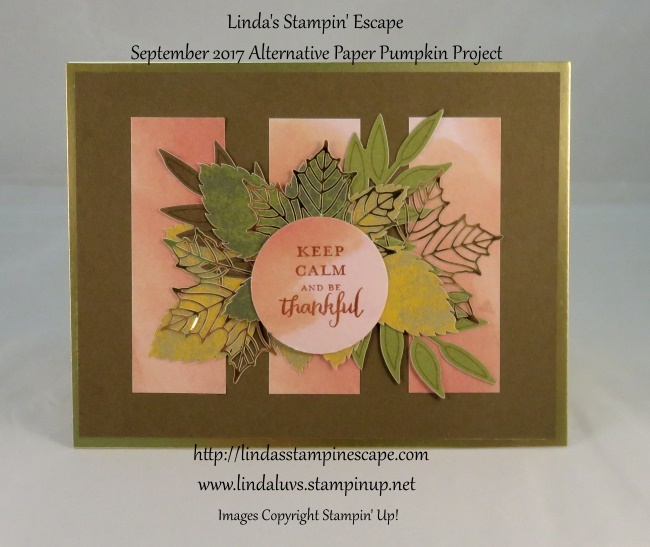 Pingback: Even More Layered Leaves Kit Ideas For You & Reminders - Stamp Your Art Out!